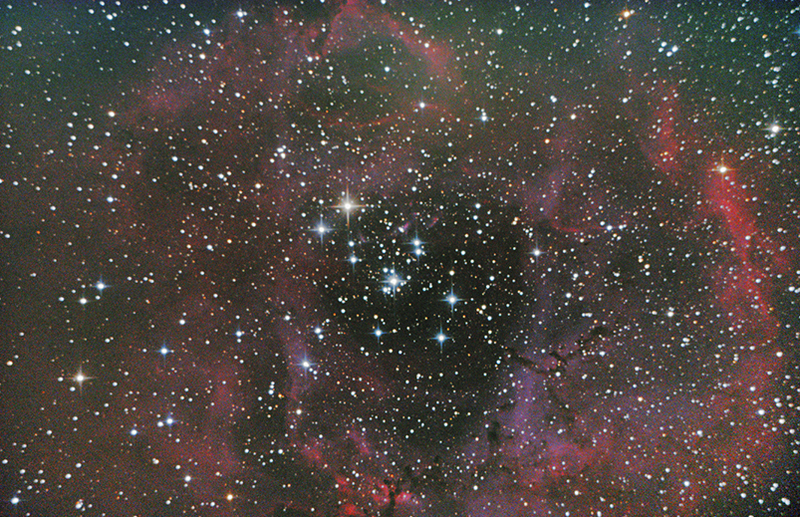 I don't know if ive done it justice or not but killing a bit of time tonight I reprocessed my Rosette Nebula data. You've got to get a coma corrector, there's no way around it. Many more subs will reduce the amount of stretching you need to do, thus making the image more smooth.